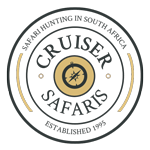 Cruiser Safaris Other Activities: Sun City, South Africa. 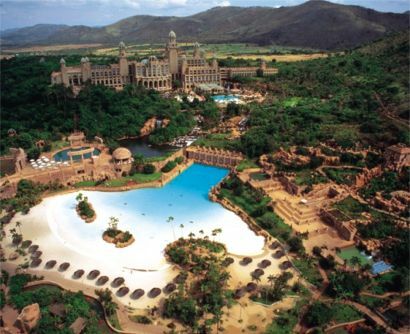 Located deep in the rugged bushveld, in the heart of an ancient volcano surrounded by the slopes of the Pilanesberg Mountains lies the world's most unique resort, Sun City. 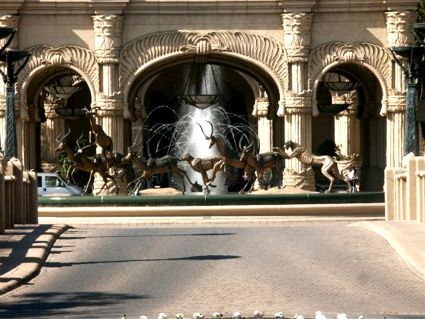 Unlike any other resort destination in the world, Sun City is internationally renowned as South Africa's premier holiday resort and the ultimate African experience. 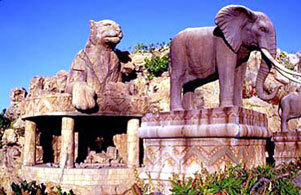 Often called the Las Vegas of southern Africa it combines the timeless classical elegance of Monte Carlo with a unique heartbeat and an African rhythm of its own. Legend has it, which was actually boosted by a very heavy dose of media inspiration, that a lost civilization originating in the north of Africa, migrated here and finding gold and platinum along with the beauty beyond all imagination, the Ancient Ones built a regal city and a magnificent palace in this location. Then, one day a volcanic eruption ripped this world apart and reduced the city to rubble with only the palace remaining. As this legend goes, some 300 centuries after this great explosion, in the last decade of the 20th century, an expedition came upon this sacred locale and its fabulous ruins. 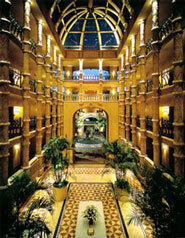 The architects of Sun City took on the challenge to restore the palace in the Lost City to its former glory making it the centerpiece of this fantastic and luxurious resort. 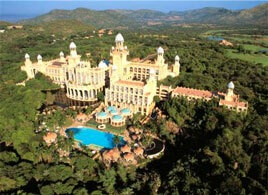 The Palace of the Lost City is undoubtedly one of the architectural wonders of Africa. 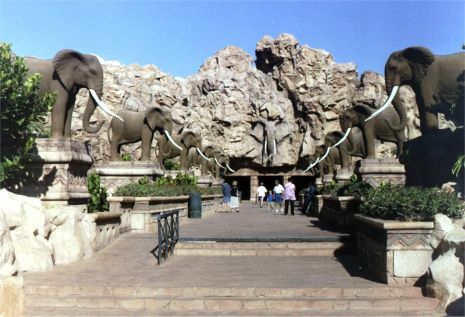 The African theme is carried through every detail including life size elephants, cheetahs hunting, sable and springbok in combination with the Valley of the Waves and the Bridge of Time. The cost for this day trip is $50.00 pp plus the price of admission for any of the activities. Click on the images below to view enlargements.